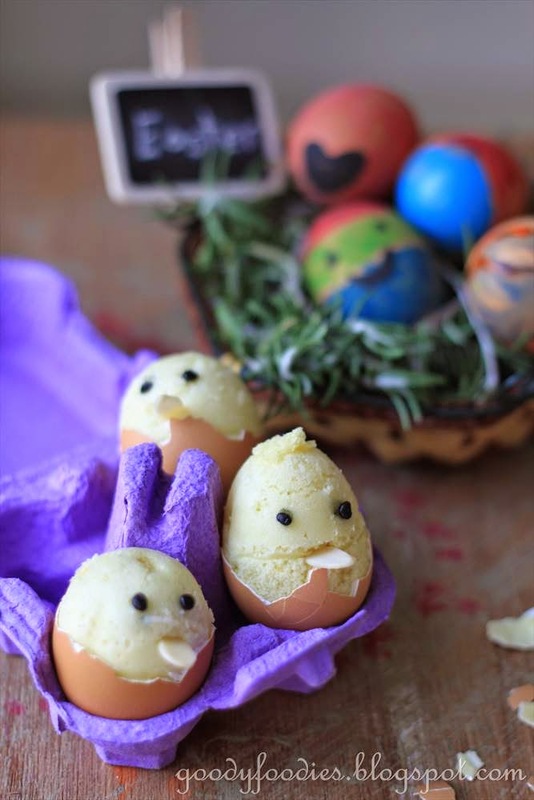 Since Easter is just around the corner, we have been making Easter-inspired cakes in our kitchen. I bookmarked this recipe from Mich sometime ago but never got around to making it. 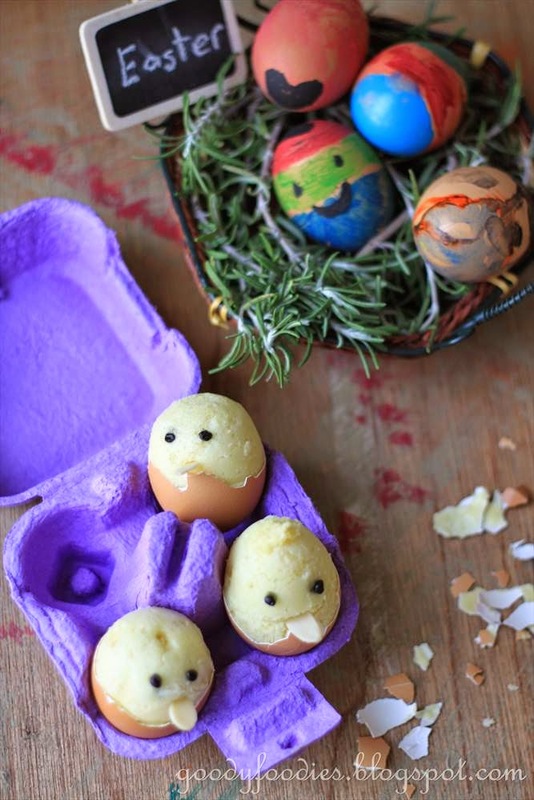 I thought these little chicks hatching from the egg shells would be perfect for Easter! For this, you need about 5 or 6 egg shells and they are filled with a Japanese mushi-pan batter and then steamed for around 8 minutes. This mushi-pan recipe is taken from Nami's page, and we made the basic version for "yellow chicks". 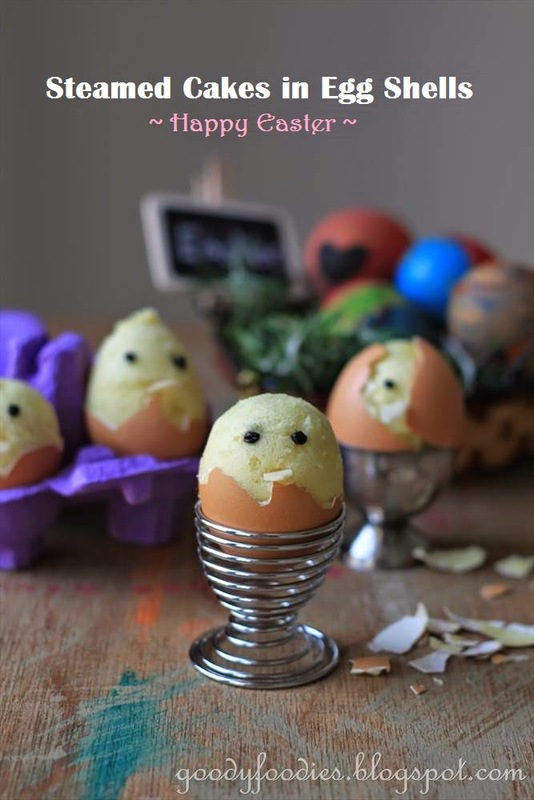 A very easy recipe - I did all the measuring and Baby C did all the mixing and pouring into the egg shells. The cake has a nice soft texture. We also like how healthy it is - very little sugar and oil. Best of all, the kids loved how adorable the chicks look. You can decorate using fondant, chocolate chips or raisins for the eyes and almond slivers or sliced dried apricots for its beak. 1. Make a small hole on top of 6 egg shells (easiest way is to crack gently using a small spoon and peel off some of the egg shell) and pour out the contents into a bowl. 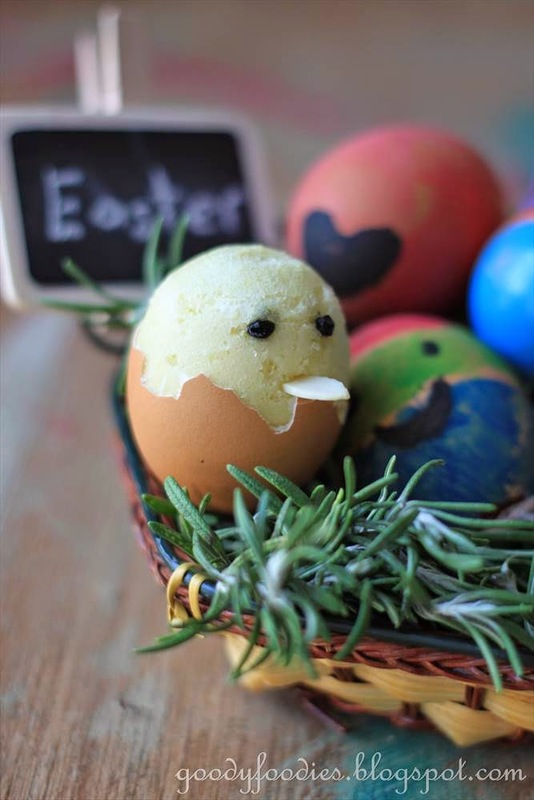 Rinse the egg shells well with washing detergent and water and pour out any excess water. 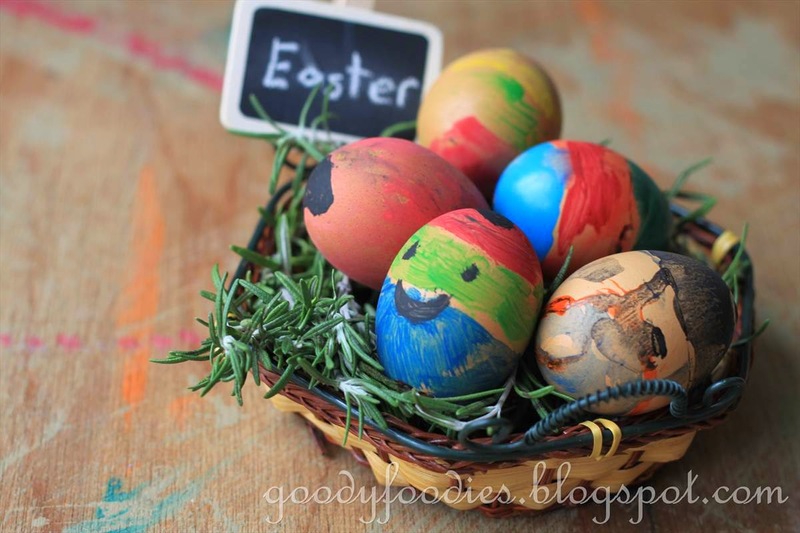 It is better to do this in advance and allow the egg shells to dry briefly before using. 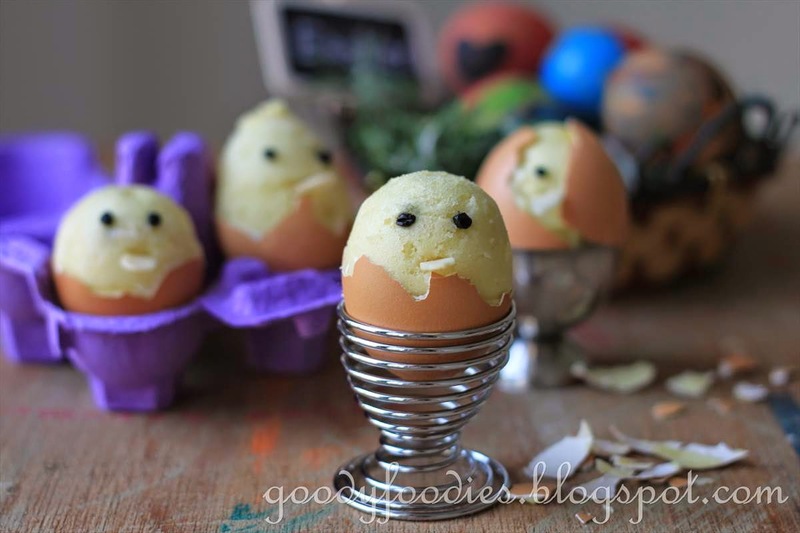 You will only need 1 egg for this recipe, keep the rest for other cooking/baking. 2. In a medium bowl, sift the flour and baking powder twice. 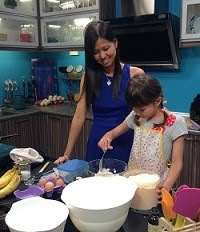 In a separate bowl, place the one egg, milk, sugar, and oil and mix together using a whisk. Pour the egg mixture into the flour mixture and mix until smooth. 3. Pour the batter into a measuring jug. 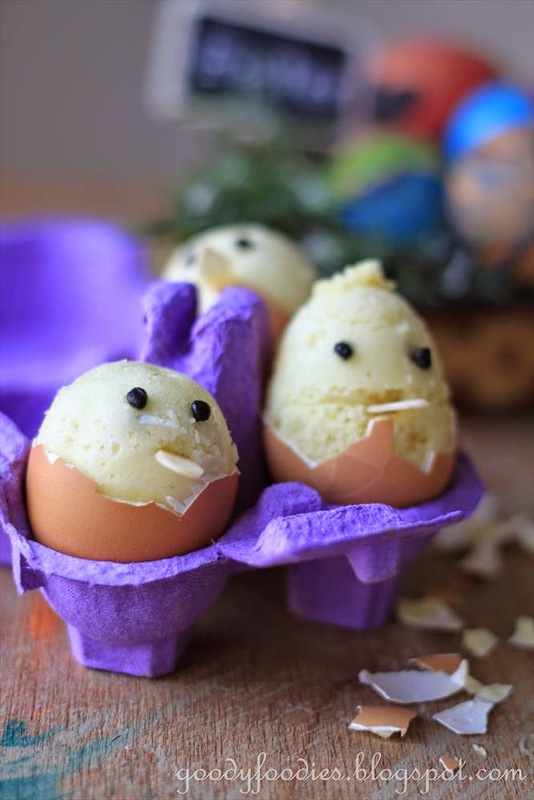 Carefully fill each egg shell with batter until it is 2/3 full. 4. 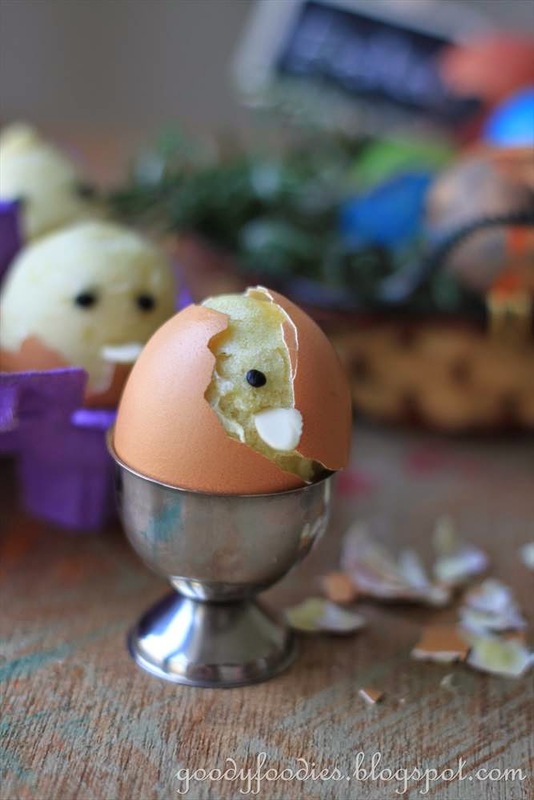 If you have egg cups, place each filled egg shell into a cup. Otherwise, you can use a muffin tray and stabilise the eggs using some rice. 5. Place in a steamer over medium heat for 8 minutes or until a skewer inserted into the cake comes out clean. Allow to cool slightly before peeling. 6. To decorate, form little beads for the eyes using the fondant. For Easter, you can peel off half the egg shell only if you want it to appear as if the chick is "hatching" from the egg. 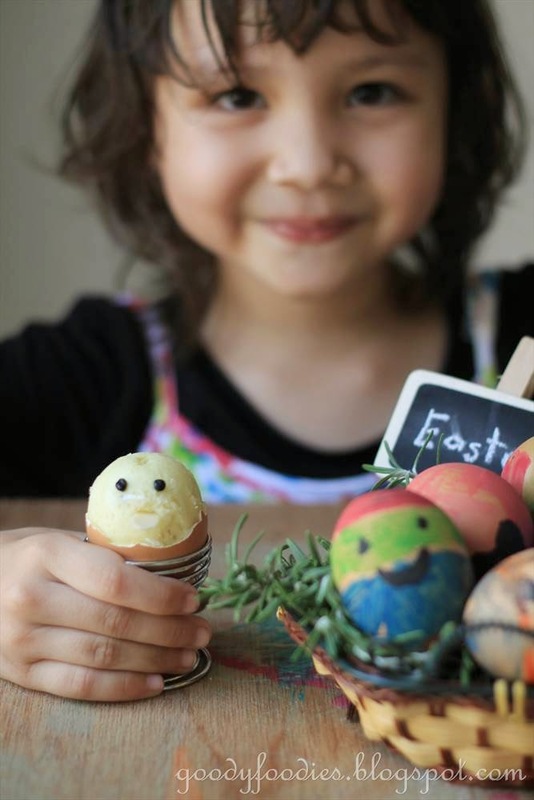 Will you be decorating Easter eggs with your family? Yen, this is so cute! the steamed cake will be like by my boy too! Lol...It looks so cute !! These are so adorable! Happy Easter to you and your family! So nice! Well done ! The kid must love it very much. 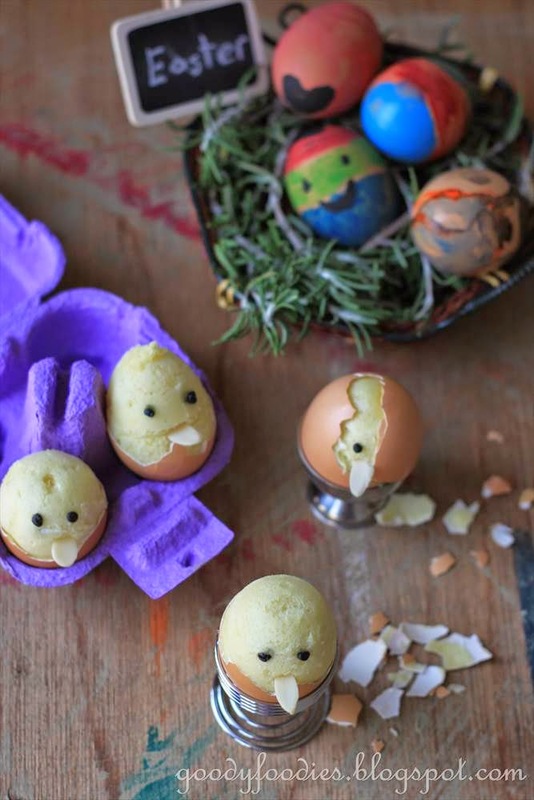 The cute eggs are simply too cute. Happy Easter! Well done Baby C! and she looks pretty !! This is amazing! 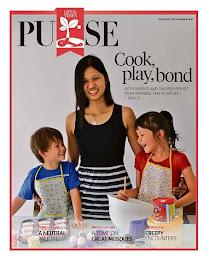 You're such a good mom doing all the baking, cooking, doing artsy work with the kids! My kids will treat this as a pet if we make this and will sleep with it! ;) So cute! 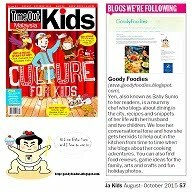 Thank you so much for the kind mention! Yen , these are too cute for words :D I've seen Mich's creation last year and yours look just as awesome ! I like the hatching eggs, so cute! Awww... super cute! Thank you for sharing. Late for this posting. These chicks looked so cute! Oh, you also got a small black board there, hehe.